HDFC life has come up with one of its kind unit linked insurance plan with name HDFC life Click 2 invests. Why it is unique is because it is devoid of many charges that generally ULIP insurance plans have. It doesn’t have any allocation charge, administration charge and even the discontinuation charge. HDFC life click 2 invest can be bought online only and thus does not have any distribution cost attached too. But even after its no charge structure, does it make sense to invest in HDFC click 2 invest insurance plan. Let’s find out. 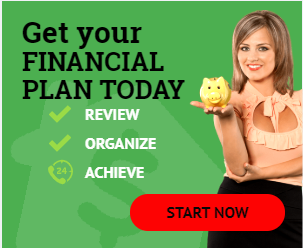 HDFC Life click 2 invest is an online unit linked insurance policy. Like any other ULIP you have to decide on the premium you want to pay, depending on which you will be covered with insurance. 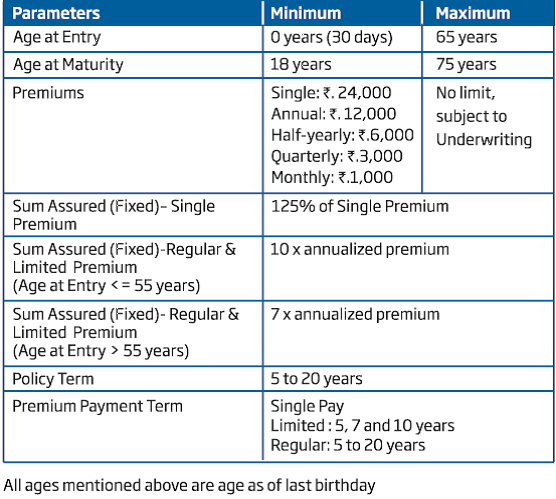 As in ULIP insurance cover will be the multiples of premium you pay. Premium you pay after deduction of allocation charges (which is NIL in this product) will get invested in the fund option you chose. There are 8 fund options available for investors in this plan. Charges: There is no Allocation, administration charges in this policy. There’s a fund management charge of 1.35% and being an insurance plan there’s mortality charges too. ULIP charges are also subjected to service tax. Discontinuation: There are no discontinuance fund charges. But if you discontinue the premium payment before the minimum tenure of 5 years, then the risk cover will cease and the fund value as on date of discontinuance will be moved to discontinue fund portfolio where you will get minimum guaranteed interest rate @ 4% p.a. You will be able to withdraw the funds only after completion of minimum of 5 years tenure. 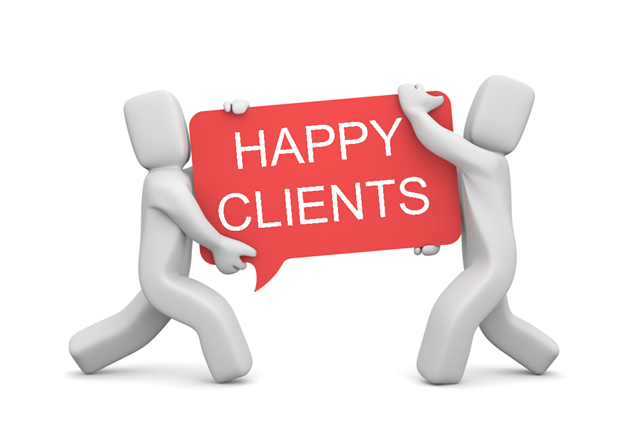 Partial Withdrawal: You can also make partial withdrawal after completion of 5 policy years. First 4 withdrawals in single policy year is free, subsequent withdrawals will be charged. Switch and Re direction: You may also switch the invested amount to some other funds of your choice or even redirect the premium payments. Surrender: You can surrender the policy in between, but if you do it with in first 5 years, your fund value will be shifted to discontinued fund and can be withdrawn only after 5 years. Settlement: There’s one settlement option too, where you can claim the maturity proceeds in monthly installments for 5 years. But as in accumulation phase, even in settlement phase investment risk will be borne by you. HDFC life Click 2 Invest – Should you invest? The reason this plan is different but no different for me is the charge and investment structure. Where ULIPs are generally full of charges, this plan has no charges at all. Mortality charges are meant to be there being an insurance plan and fund management charges are due to investment structure attached to it. The main point of contention to me is the ULIP investment structure. I mean i have never been able to answer the question of why should someone invest in ULIP or even endowment, for investments or insurance or for both? If this is for insurance, then will the investor be able to pay enough premium and that too regularly to buy adequate insurance cover? Say for e.g. If a healthy nonsmoker male needs an insurance cover of Rs 20 lakh, then in case of HDFC life click 2 protect (term insurance) he will pay Rs 3798/- p.a. of premium, where as in case of HDFC life click 2 invest or any insurance ULIP plan he needs to shell out Rs 2 lakh p.a. If this is for investments looking at low fund management charges, then how would you track the funds performance, compare it among peers and above all by any chance you find that funds are not performing as expected, what options you are left with. You have to continue with this structure and keep on paying the premium for at least 5 years and if you don’t you will get returns of discontinuance fund account. On the other side investments products like mutual funds, PPF, bank FDs, Post office schemes etc. all are so flexible and one can invest as per his requirement and manage comfortably. Even though hdfc life click 2 invest is devoid of all unnecessary charges, I am still not convinced to advise on investing in this. My advice is still the same keep insurance and investments separate. Buy adequate insurance cover through term insurance plans and do investments in pure investment products as per your short and long term goals and risk profile. Keep your investments simple and flexible. 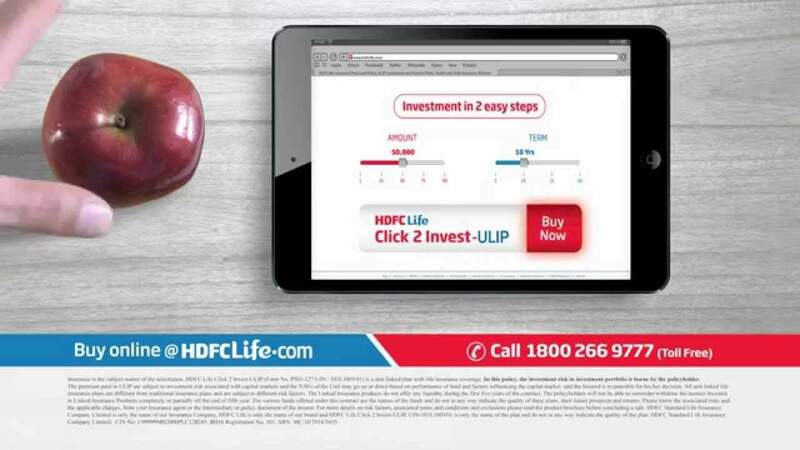 How do you find hdfc life click 2 invest? Do you agree with my views? My banker has suggested to invest 5lac per annum for 5 years. He says it will be good to save LTCG tax as 25 lac should get good return in long run and when I withdraw all amount it will be tax free? He is correct in saying that the maturity in this plan would be tax-free if only you continue paying the premium for the full term and your policy should have sum assured of 10 times of the annual premium. But with this, you will bear the Mortality cost. Can I surrender click 2 invest policy within first 15 days beacuse I invested in it and now I don’t like this ? My banker has suggested to invest 5lac per annum for 5 years ( till the lock in period) in HDFC CLick to invest ULIP. He says it will be good to save LTCG tax as 25 lac should get good return in long run and when I withdraw all amount it will be tax free? , i have already invested in SIP, lumpsum MF’s and have some money in FD. He suggested to liquidate underperforming MF’s and to move to this ULIP ?. I need few clarifications, 1. I had invested in ICICI Prudential dynamic plan – dividend in 2015 end ( it has got changed to ICICI Prudential Multi Asset plan ( i get my dividends till date), current value is in negative value. Banker suggests to redeem and move this to ULIP premium for 1st year saying with upcoming elections in 2019, the value would further go down and be like this till next 1 to 1.6years. Iam thinking i should stay invested for some more time and not redeeem now. Please advise. 2. Is it ok to liquidate my FD and move to ULIP premiums , is that a better option in terms of having a diversified portfolio ?. Not able to decide , i thought i will use this corpus to add it to my son college education fund. He suggested me to take it in my sons name as the mortality charges are less. He gave me a projections at 8% and 12% and seems ok. If any happening in Equity market impact Equity Mutual fund, the same thing will impact ULIPs too. So saying that Elections will impact an only icici dynamic and not HDFC ULIP, that is wrong. Moving FD to ULIP may not be a wise choice as both are different Products exposing to different Investment asset classes. and i am not sure why have you kept money in bank FDs? 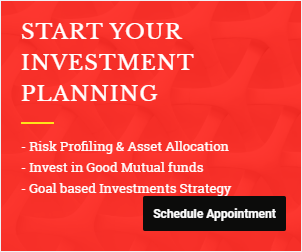 rather than investing money haphazardly, you should better follow a well-designed Investment plan, where you will be advised with suitable investment products based on your risk profile and goals targeted. If not, then such kind of questions keep bothering you with time and you will not be able to make a concrete decision. 8%-12% Projection is fine, but what is the action Plan if that return does not come. How would you accept the change in market sentiments? You have to look at your financial Life in totality, and not just from your child’s education point of view. You have limited resources which need to be deployed sensibly, expecting all the good and bad from markets. 1. Will hdfc click2 invest help if I want to invest for a 10 year long goal ? Assuming I take the policy in the name of my kid(8yrs) so that mortality rate is low. 2.i read that this ulip allows me to move funds across different categories to arrest any fall due to market crash. Isn’t this any advantageous? 3. I am not looking at liquidity , and don’t want to pay the LTCG is there any other option. I already have ppf and don’t want to invest in FD. 4 insurance or tax savings is not a requirement but at the same time I have a low risk appetite. 1. Yes, it will. It’s a ULIP product. But buying Insurance in the name of a child does not make sense to me. Of course, this will have lesser Mortality cost, but still, it is a cost. so you need to do some cost-benefit analysis before moving ahead. 2. It may help. If you are actually so active in making the changes and can predict the fall timely. Both I don’t think is humanly possible. 3. Not sure. Your financial Planner may guide you well on this. The bankers and agents have sold me HDFC progrowth plus and HDFC click to invest without fully briefing me the charges. Can I surrender the policy within 30 days grace period without any charges.